Ever picked up your phone to see that Google Play is auto-updating app after app, whilst your data allowance evaporating into thin air? We’ll show you how to prevent this and allow Google Play to update apps only when you want it to. 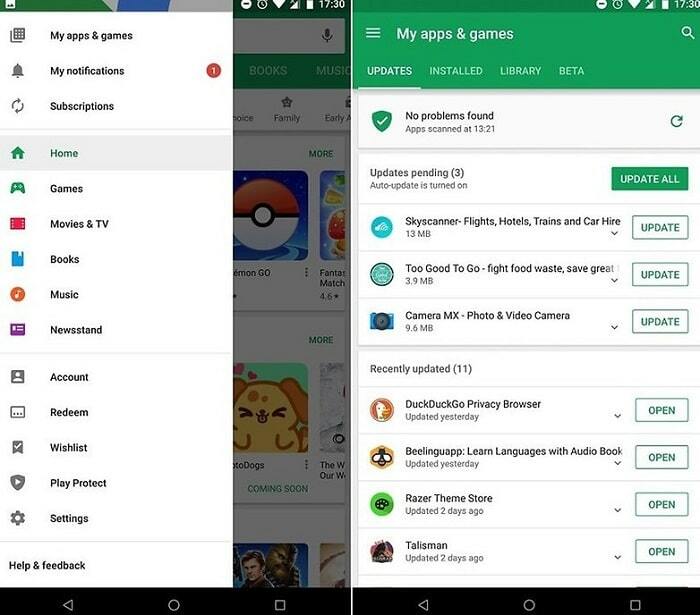 As a general rule, apps you’ve installed from Google Play will download updates automatically (called auto-update apps) in order to improve their performance on your tablet or smartphone. Generally speaking, this is a good thing, but it can also slow down your phone, use up your mobile data or stop you from doing other things on your device. This is where manually updating apps can become more practical. 1. Open the Google Play Store app and tap on the 3-bar menu icon on the top left. Then scroll down and choose Settings. 2. In the Play Store settings, tap Auto-update apps. 3. 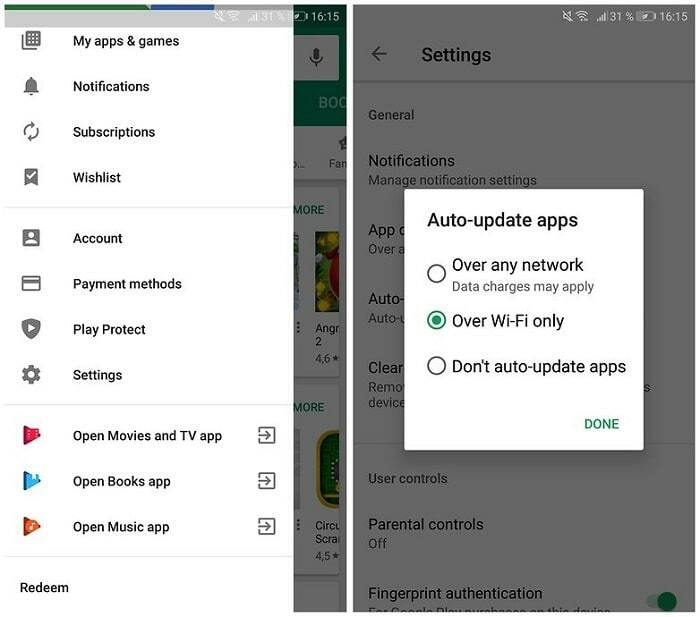 You’ll see three options (which can be changed at any time): Do not auto-update apps, Auto-update apps over any network (using your data) and Auto-update apps over Wi-Fi only. 4. Choose the bottom one. Note that this means you will always need to manually update all apps in the future. If you still want apps to update automatically, just not on your data connection, select Auto-update apps over Wi-Fi only. 1. If you’ve told the Play Store not to auto-update apps, you’ll have to do it manually. To manually update an app, you must go to My apps & games in Google Play, open the navigation drawer and select it (from the 3-bar button next to the search bar). 2. You will be shown a tab view of your apps: the ones currently installed on your device and a master list of every app you’ve ever downloaded. In the Installed list, you’ll see the apps are broken up into categories: Updates, Recently updated and Up-to-date. 3. Apps with updates available are listed at the top. You can choose to install them one at a time or all of them with the Update All button at the top.